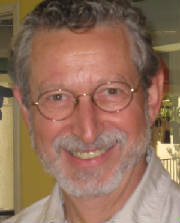 A former Westfield's CIO and the author of a book "Converting Information into Assets", Jorge Tabacman has developed and continues to improve the SIMMETHOD™ Intellectual Property based on the many consulting and training assignments, extensive research, technological advances and a skillful team of collaborators and advisers. SIMMETHOD™ unique content of predictive analytics, Strategy/Execution performance Predictive Indices, Competitive Intelligence Database and Leading Indicators have been guiding business executives towards improved decision-making, significant cost savings, the acquisition of new strategic accounts, business growth and the creation of new multi-stream income generating business models. SIMMETHOD™ unique system of risk minimization early warning value-chain and industry leading indicators set up against a constantly updated competitive intelligence database provides hard-to-obtain insights into threats and opportunities. Jorge writes a popular risk and performance predictive blog "Converting Information into Assets" showcased by Business Week as Top Source of Performance Management and a widely viewed Slideshare Channel.